What is that flower behind your ear? นั้นดอกอะไรอยู่หลังใบหูของคุณ. 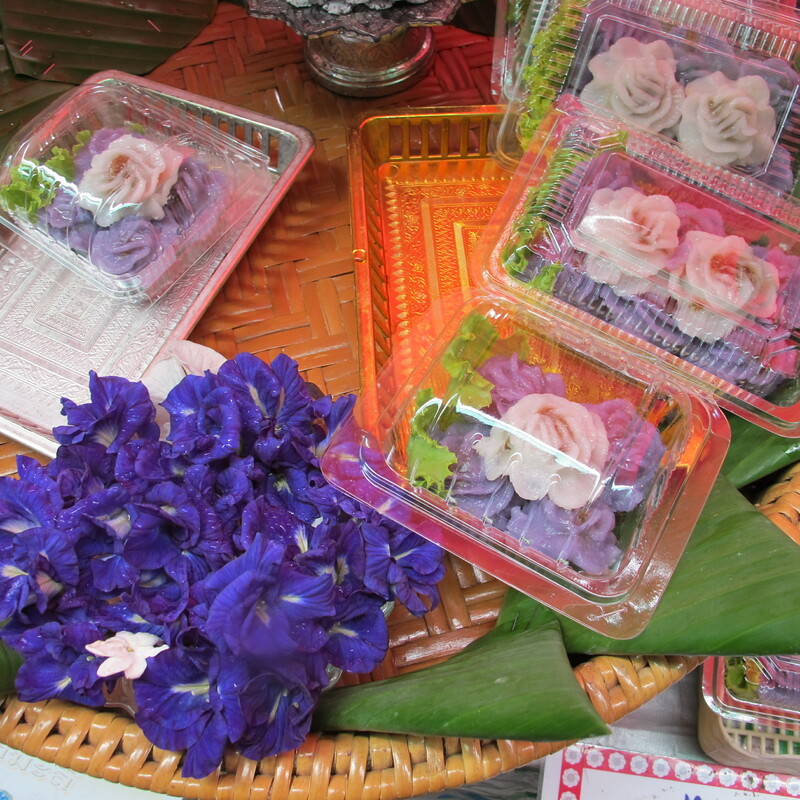 In a Thai village, the answer might be that it is a jasmine, hibiscus or butterfly pea flower. 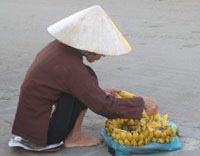 You often see women or men in Thai villages wearing flowers behind their ears on special occasions. For me personally, my answer would be that it is a blue butterfly pea flower. 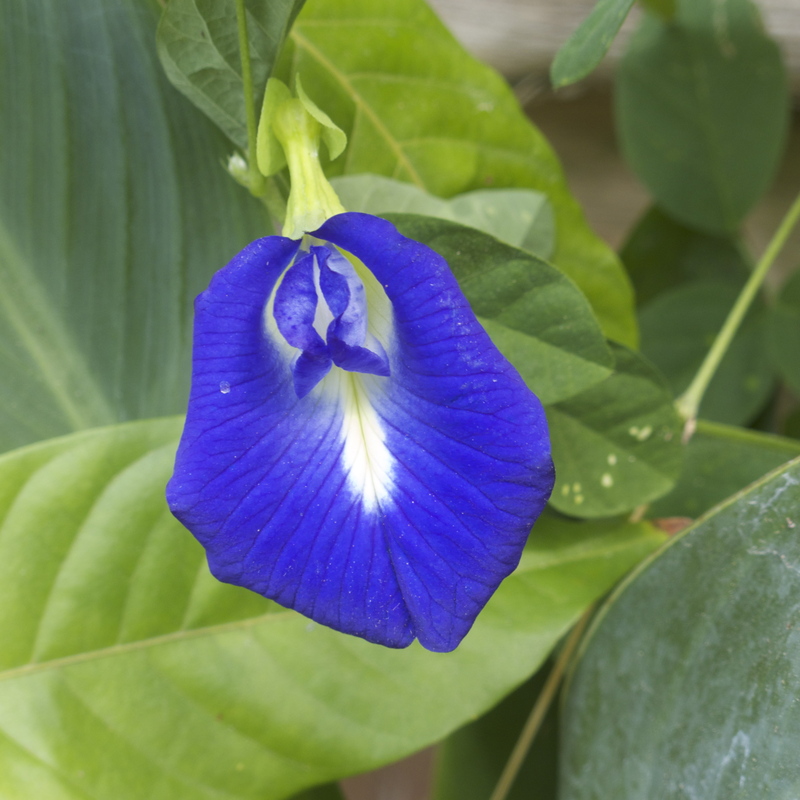 In addition to wearing a blue butterfly pea flower – ดอกอัญชัน (dok anchan) or Clitoria ternatea – behind my ear while working in my garden, I would like to introduce you to its properties as a Thai culinary flower. 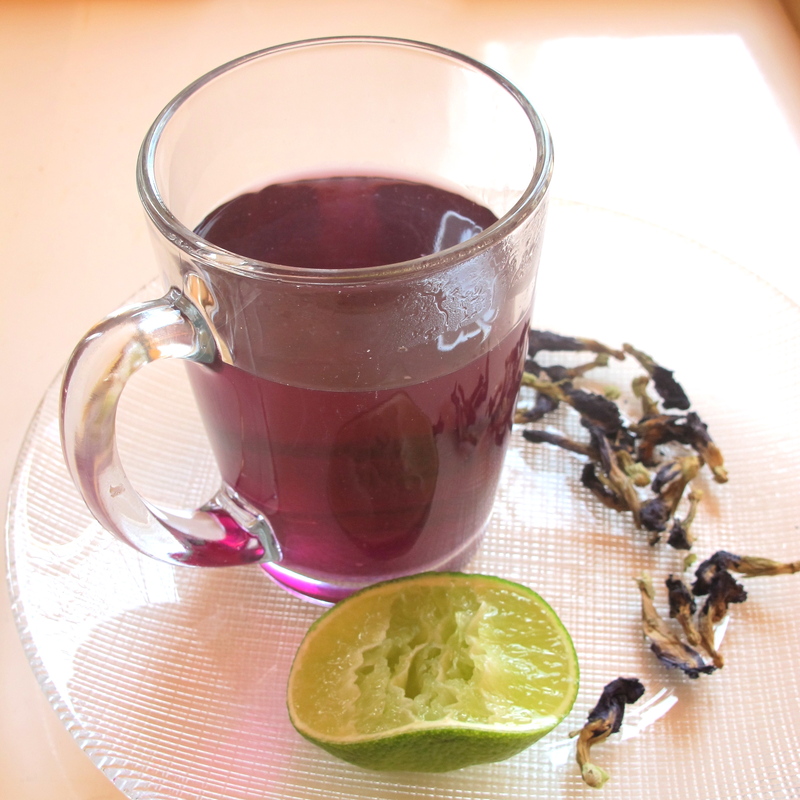 Butterfly pea is an annual vine that is native to the land in southeast Asia near the equator. 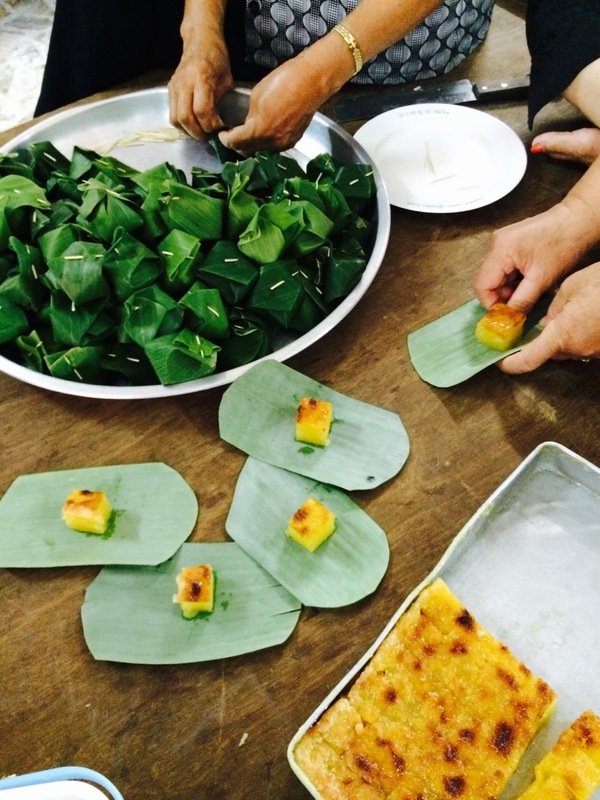 Thais love dok anchan for it beautiful unique looks and for its culinary uses as a food coloring and as an edible flower. 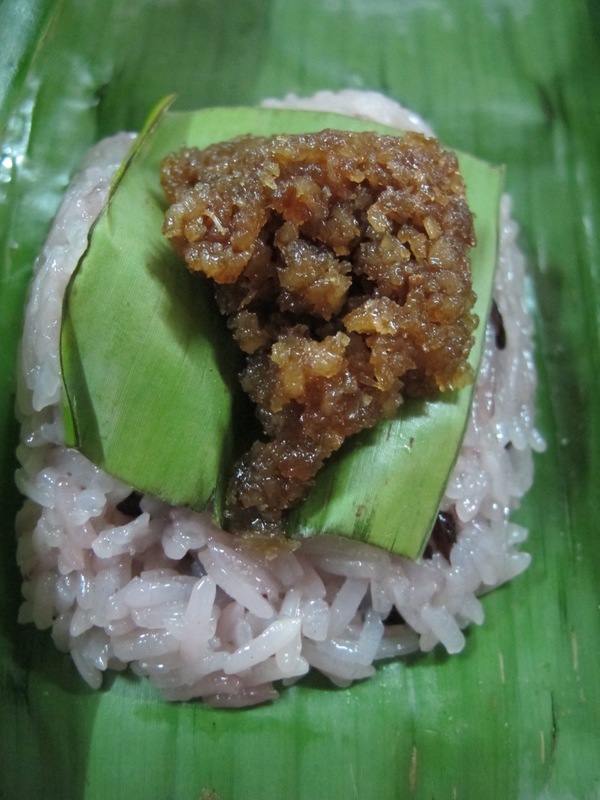 My friend Somrak uses dok anchan in her Thai cooking at home, shredding it into a fine ribbon and adding it to rice salad, or for making a tea, or adding blue color extract to steamed jasmine rice. 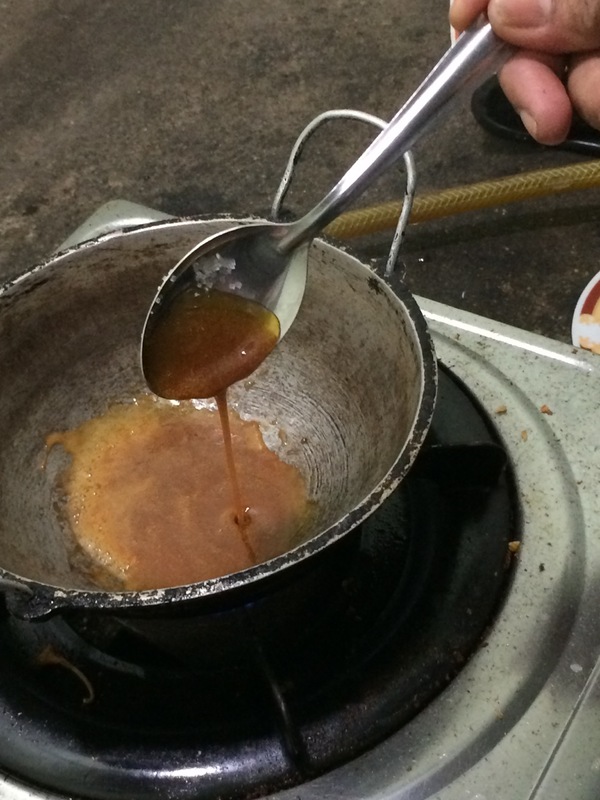 Many hotels in Thailand greet guests with a welcome drink made from dok anchan. But above and beyond all of these uses, our ancestors recognized it for its medicinal benefits, which include its anti-depression, anti-inflammatory, and anti-cancer properties. The blue concentrate added to hair products also promotes healthy hair growth (please see related links below). 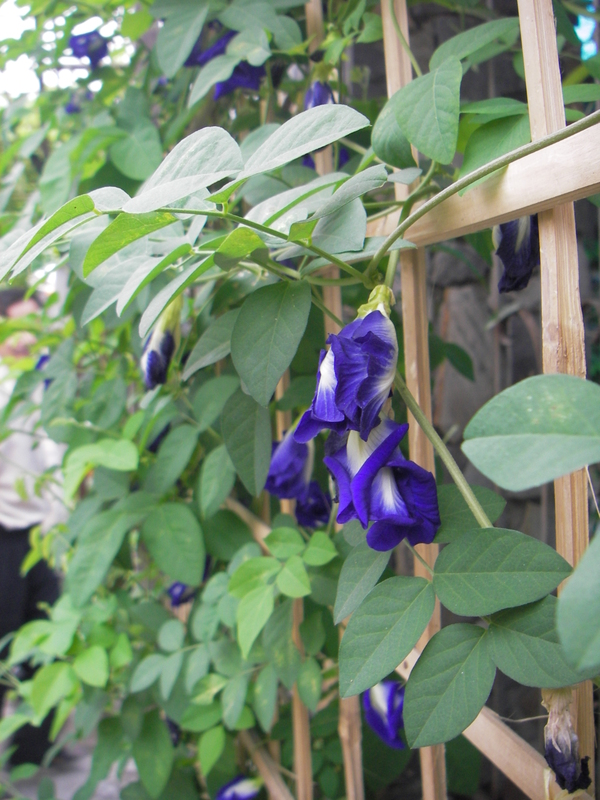 In Thailand I grew butterfly pea plants on a trellis, but often enjoyed the harvest from friends’ gardens. 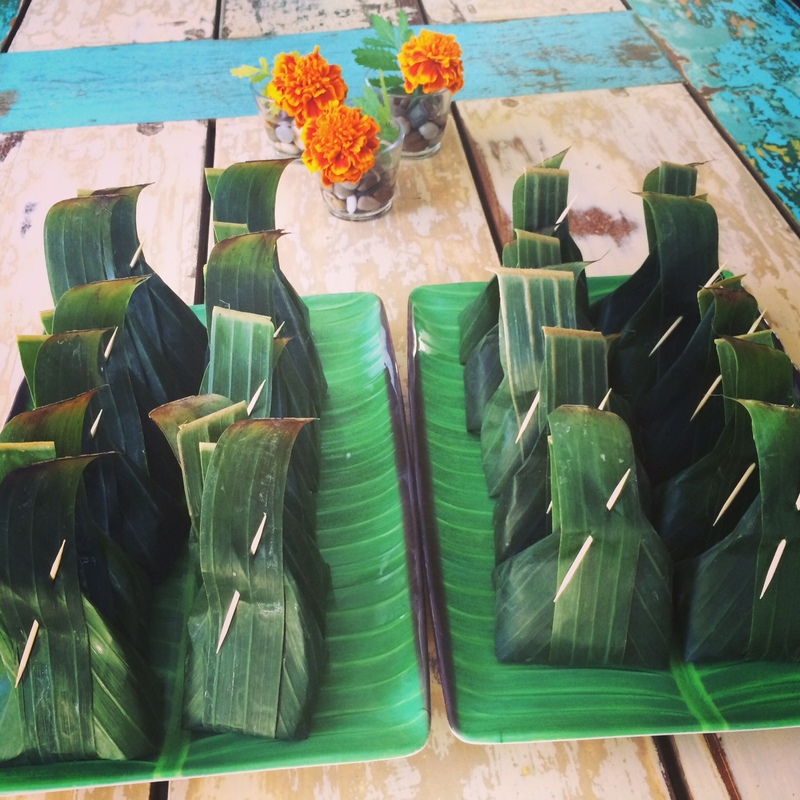 In the Thai village lifestyle in the old days we shared or exchanged our surpluses with one another. The vines can produce many flowers a day, so often they went unused. This meant that at any moment there were always flowers waiting for you in someone’s garden and we helped ourselves when needed. 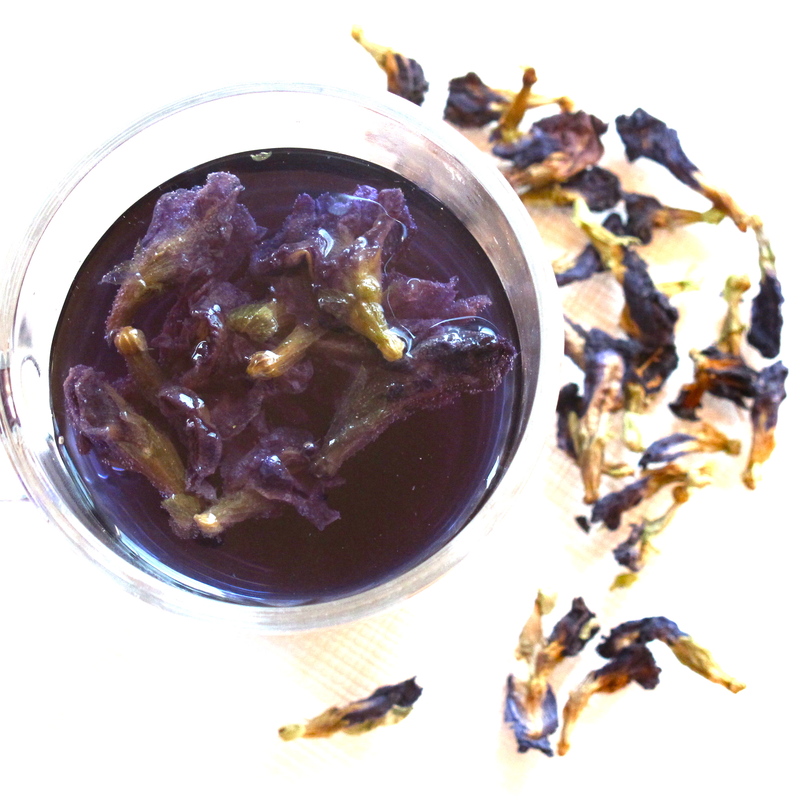 The pigment in the flowers comes from anthocyanins, and has long been widely used in Thai and Malaysian cuisines for blue or purple food coloring for butterfly pea sticky rice. 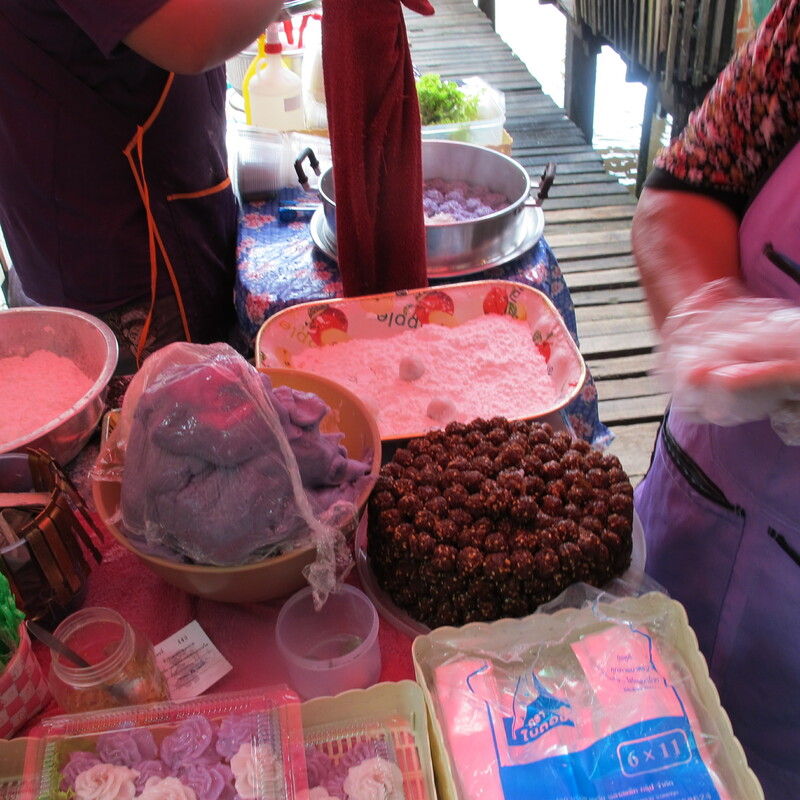 In Thailand, any foods prepared with shades of blue, purple or pink come from dok anchan. In addition, southeast Asia uses the flowers in traditional Ayurvedic medicine. 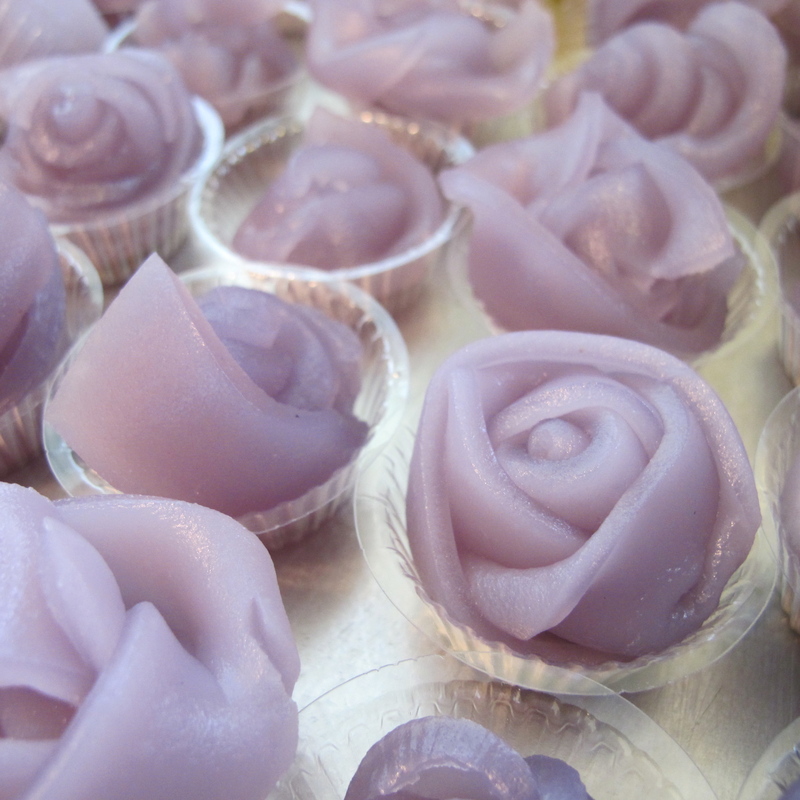 Khanom Chan – ขนมชั้น – Thai one-layer cake with anchan flower food coloring gets pale purple when cooked. 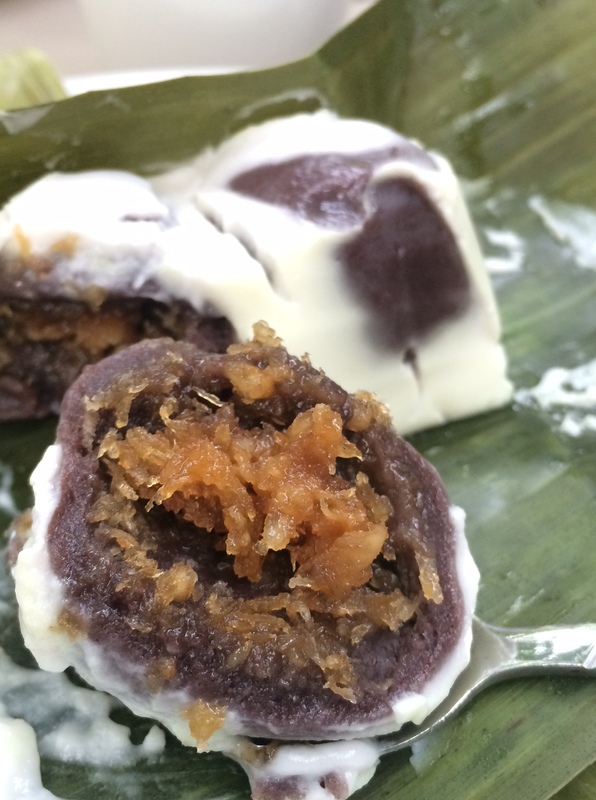 Chaw Muang is a traditional Thai snack that can have a sweet or savory filling. 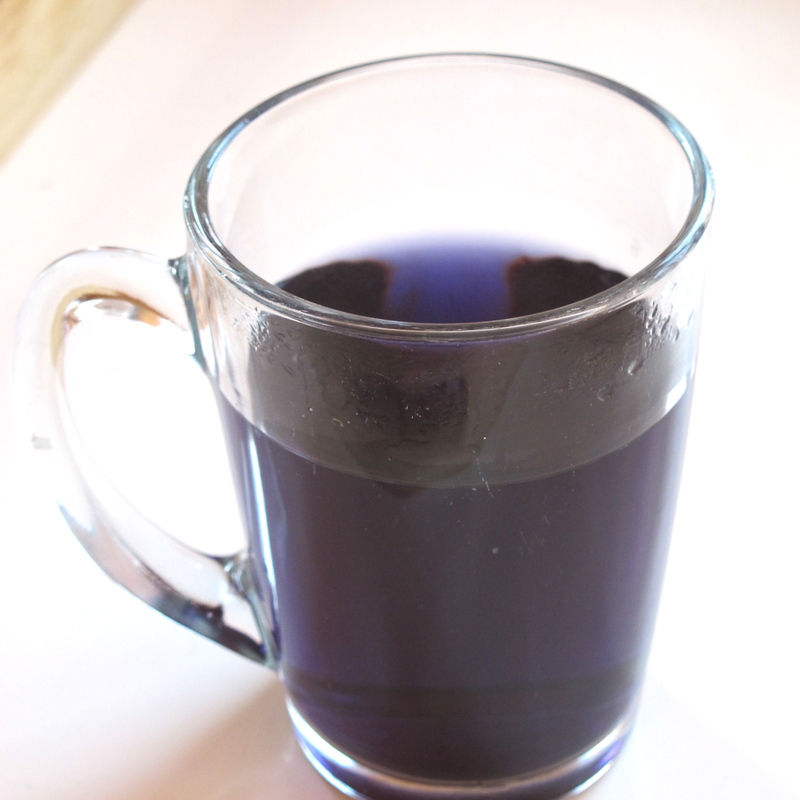 After preparing a butterfly pea purple water infusion, the water is added to the dough according to the amount required in the recipe. 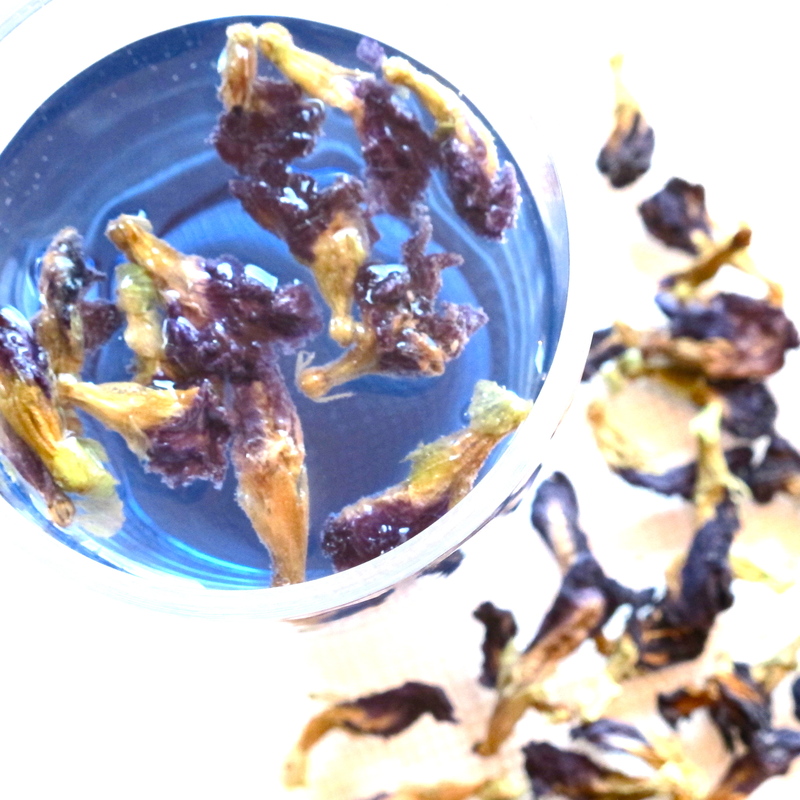 First, steep 12 dried or fresh butterfly flowers in 1 cup boiling water. Fifteen minutes later, or when no color is left in the petal, strain the liquid and discard the flowers. You will get deep blue water. Fifteen minutes later, deep blue color is ready to use as blue food coloring. 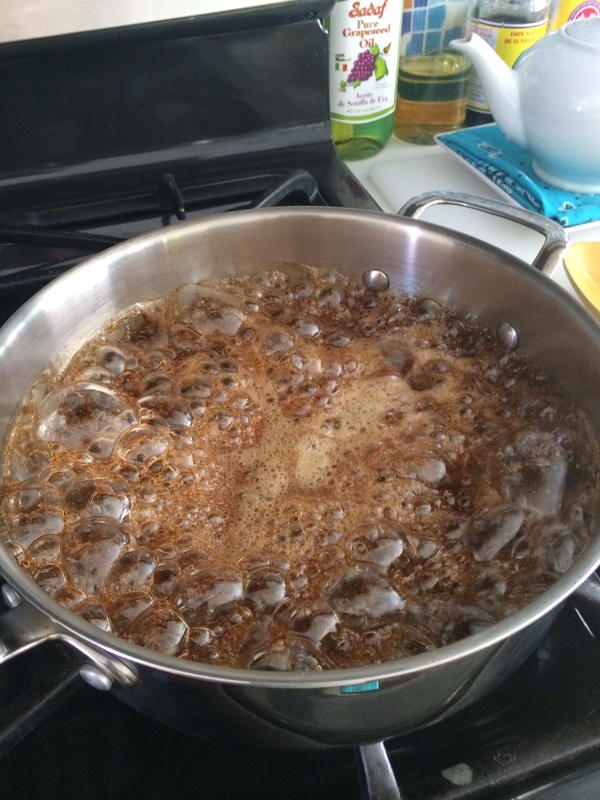 Add a few drops of lime juice. This will change the ph level and you will get purple water. 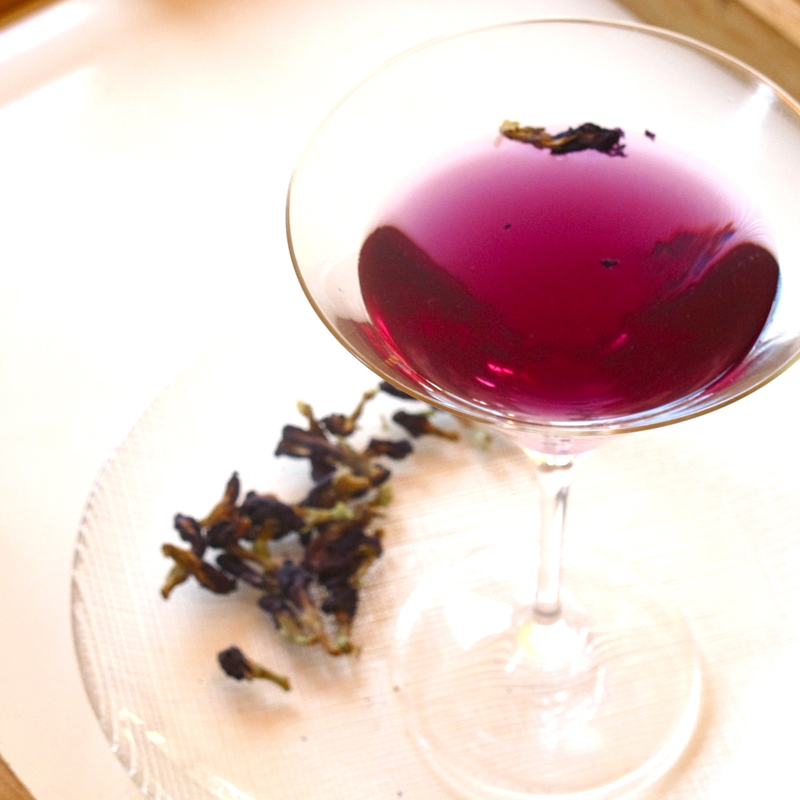 I made butterfly pea simple syrup a day before my dinner party in order to make my signature Tom Yum Martini. A friend requests that I make them each year when I visit home. When I left East Wenatchee, my Thai friend, Suprattra Pornprasit gave me a bag of fully ripe apricots from her tree. 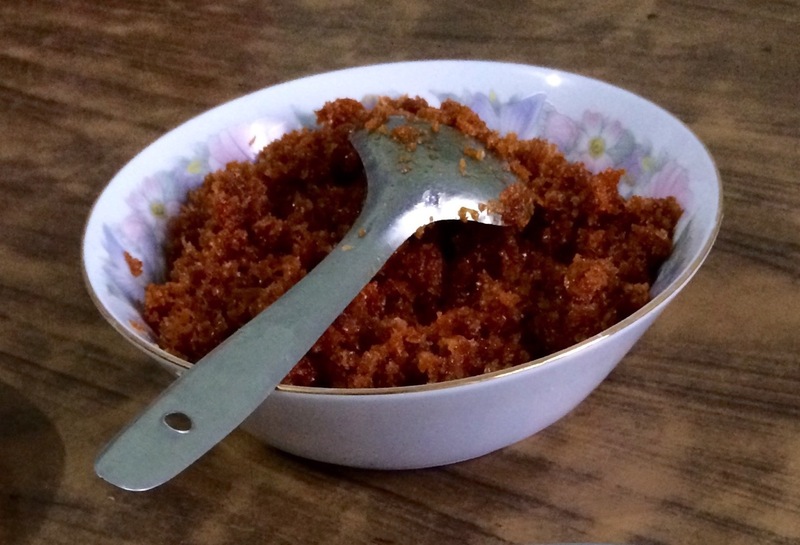 When I returned home, I immediately cooked them with sugar until it looked almost like jam. I chilled the mixture overnight and prepared the apricot ice cream the next days. 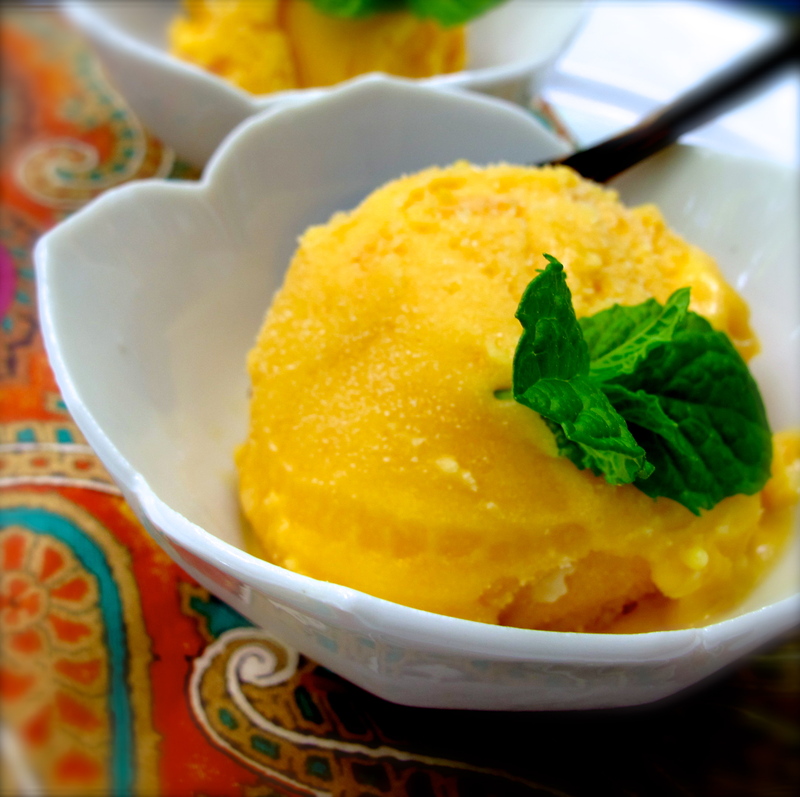 Frozen dessert is great to have around. 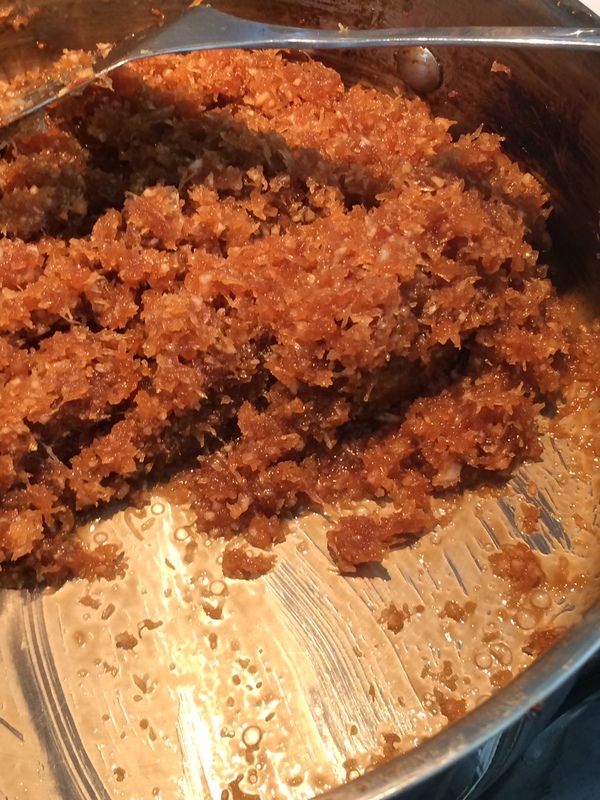 I didn’t add any spices as apricot flavor really shines by itself at the frozen stage. I tried serving the apricot ice cream in many different ways to accompany other desserts, but its flavor seemed pale and uninteresting by comparison. The best way, I learned, is to enjoy apricot ice cream by itself; the flavor is so bright and lively and right after a Thai meal. I would do exactly the same ice cream with local apricots next summer. Place apricot puree and sugar in a medium sauce pan and cook over medium heat until the fruit is translucent and has a jam-like texture, about 20 minutes. Chill or keep in the fridge overnight. Place heavy whipping cream and milk in another medium saucepan and cook until it begins to steam, then let it cook on low for 2 minutes. Bring to room temperature and chill. Place in an ice cream maker and follow the manufacturer’s guidelines to make ice cream. 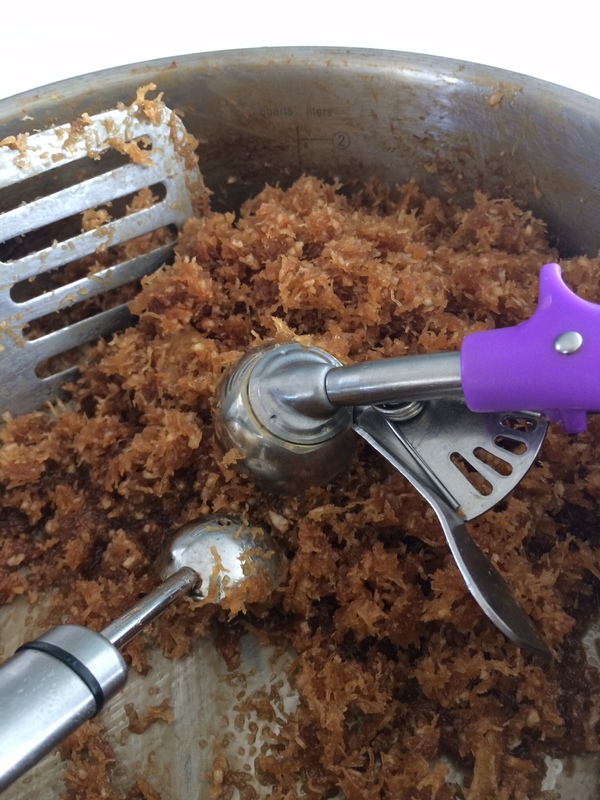 Remove and keep in a freezer-proof container. It will keep in the freezer for up to 2 months. My son and I were at the Atammayatarama Buddhist Monastery early in the morning one day last week. We had volunteered to water over 20 newly planted trees surrounding the new meditation hall. Later in the morning I also offered food to three Thai monks. 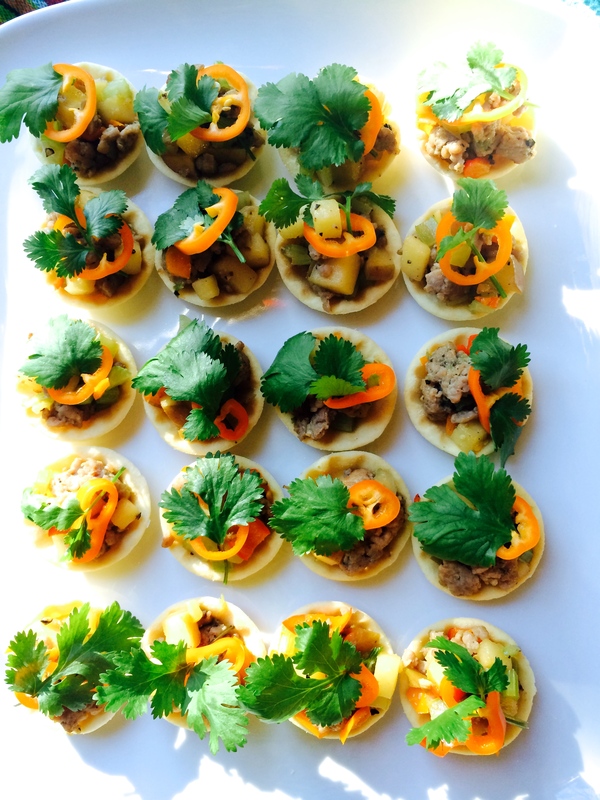 They were Southern Thai dishes such as stir-fried spicy stinky been with beef, Thai chili dip, Thai yellow curry rice and fried eggs. Since I am familiar with the kitchen, I also became a temporary helper there for the day. 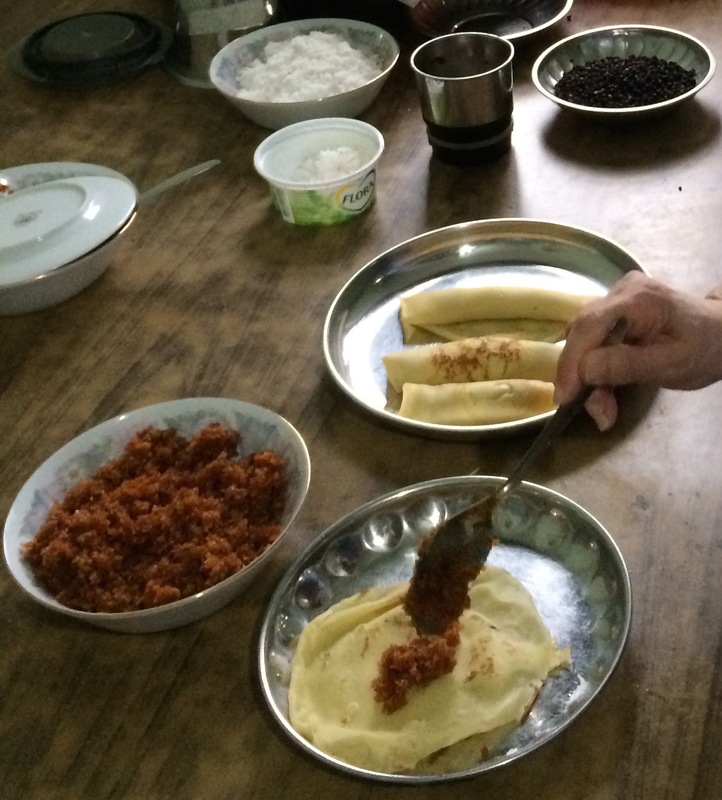 I helped visitors to properly place foods they had brought from home and to properly present them to the monks. At the end of the day, there were more than a dozen fully ripe bananas that had not been eaten. 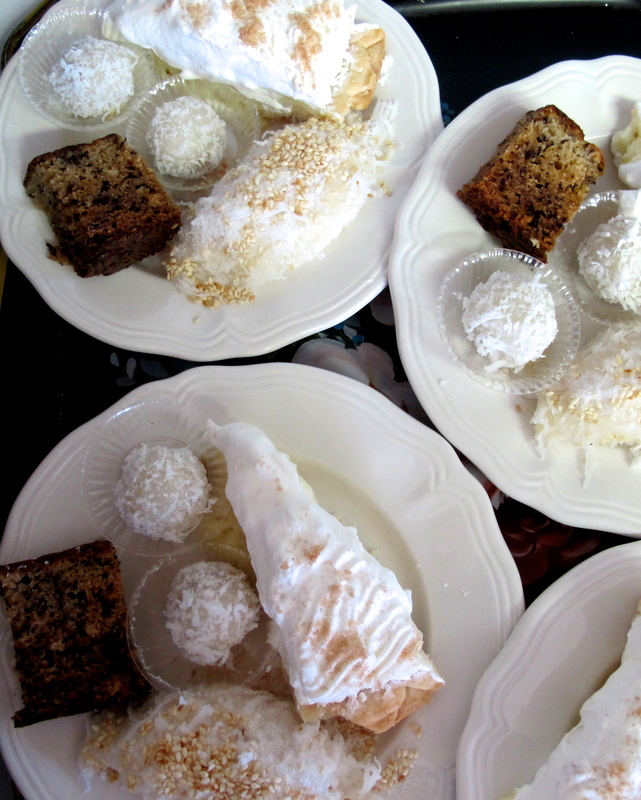 Waste not, I offered to take them home and return them to the Monastery as banana bread. 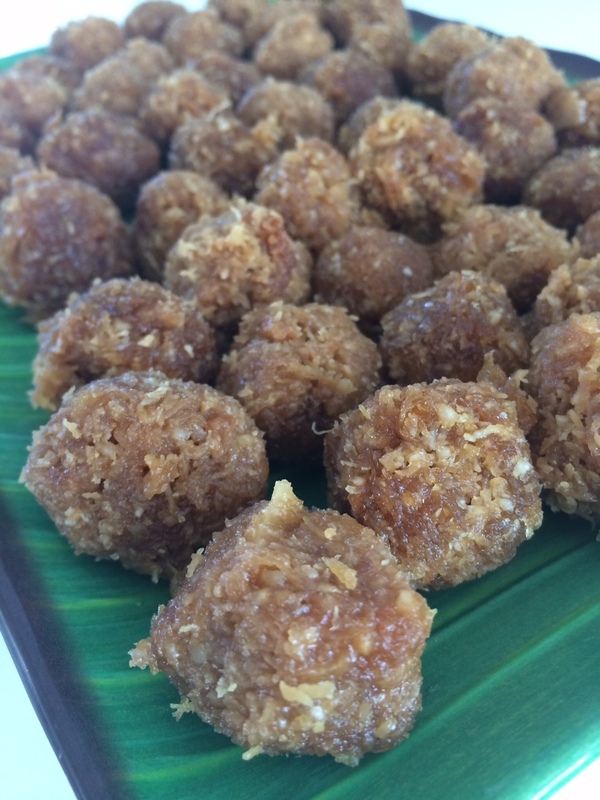 This is my banana cake recipe from Thailand. I modified it into a quick and easy recipe for banana bread. My banana bread recipe has long been on my list to share with you, but it never seemed to work out to do so until now. 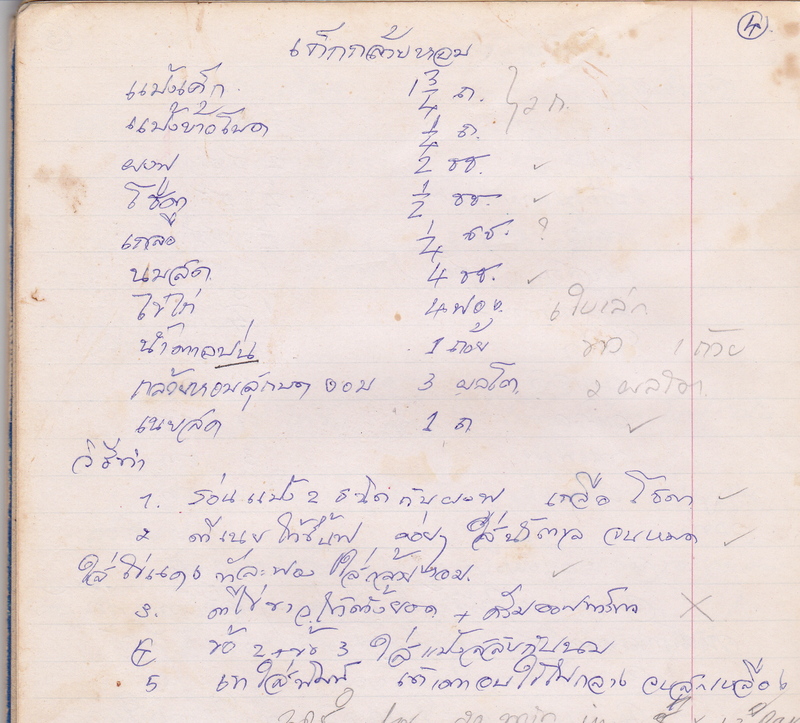 First, I found my 28-year-old recipe notebook which is always misplaced and hard to find. Second, I had the free time to make banana bread as well as a good reason for making it. The next day I made 4 loaves with one single recipe. It is a perfect recipe to bake once and share with friends and families as hostess gifts or for a community event. 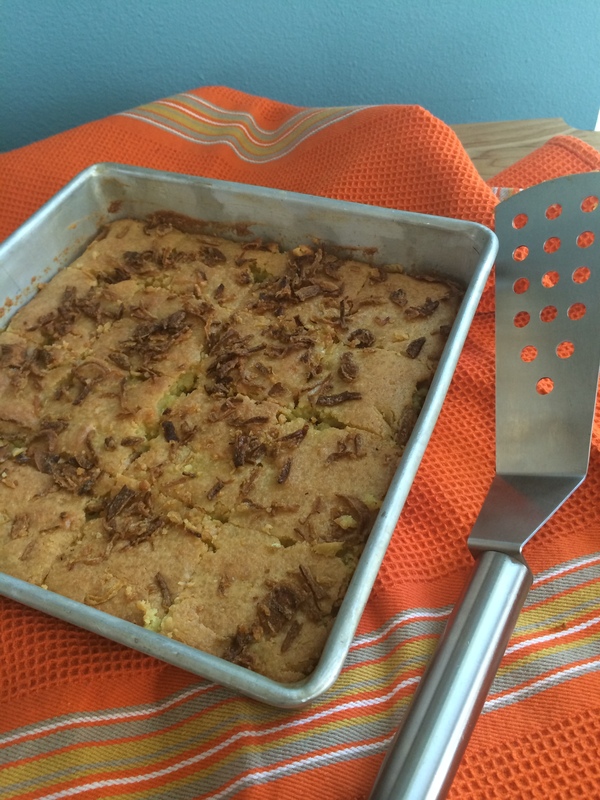 This recipe makes an oil-based cake or quick bread that is baked in a loaf pan like a bread. Since vanilla and butter taste so good with bananas, I kept them in my recipe. I used olive oil because it is a healthy fat, but you can use any vegetable oil. There are no nuts in this recipe because I prefer it without. This recipe is light, somewhere between banana bread and banana cake. If I wanted to make a banana cake, I would keep the recipe the same but add one more cup of sugar, bake it in a cake pan, and then frost it with my dreamy coconut frosting recipe. But since I baked it in a loaf pan, let’s call it banana bread. 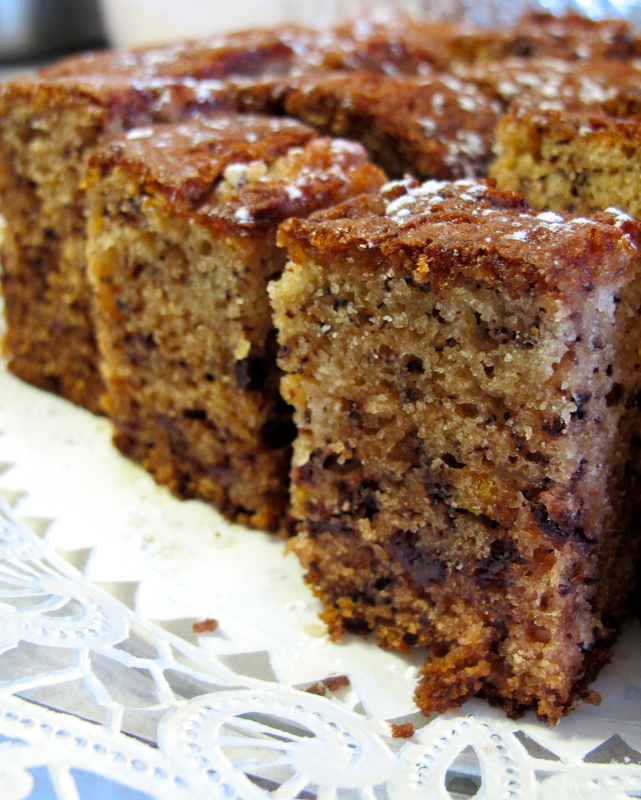 This recipe makes four loaves of banana bread with a cake-like texture. It is unbelievably easy. 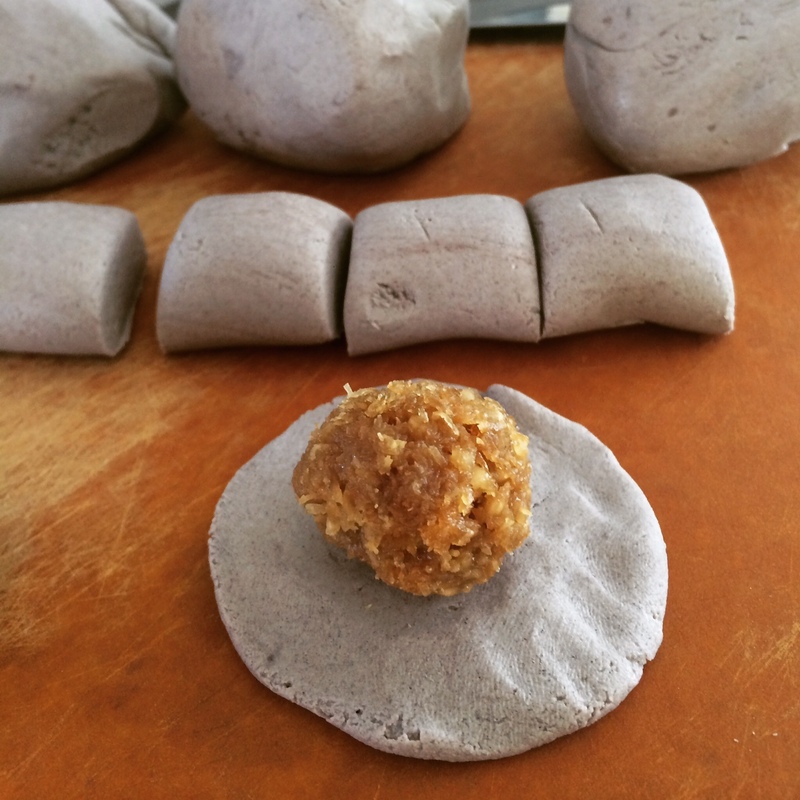 Just stir the ingredients together and bake with fun. Enjoy it plain or with the frosting. If you wish to have it plain but sweeter, you can add one more cup of sugar or garnish it with frosting. 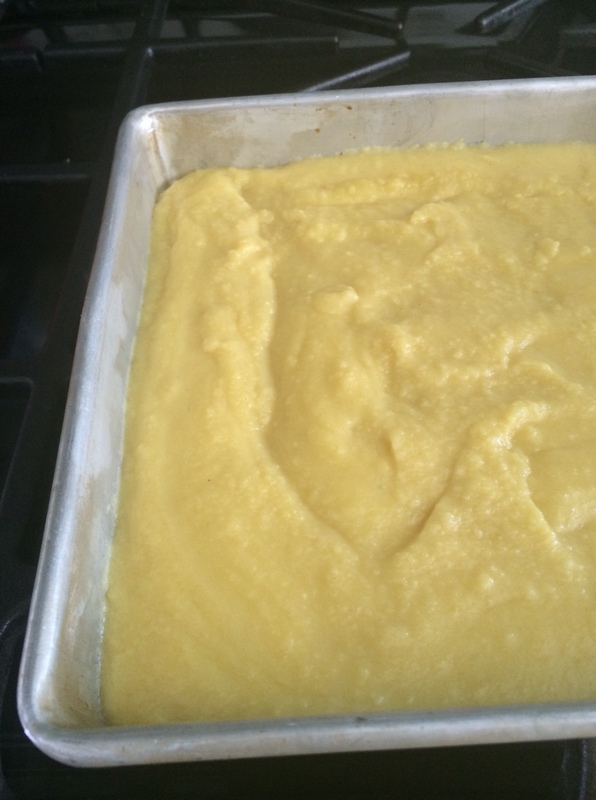 Preheat the oven to 350 degrees F. Prepare loaf pans with oil and coat with flour, then set aside. 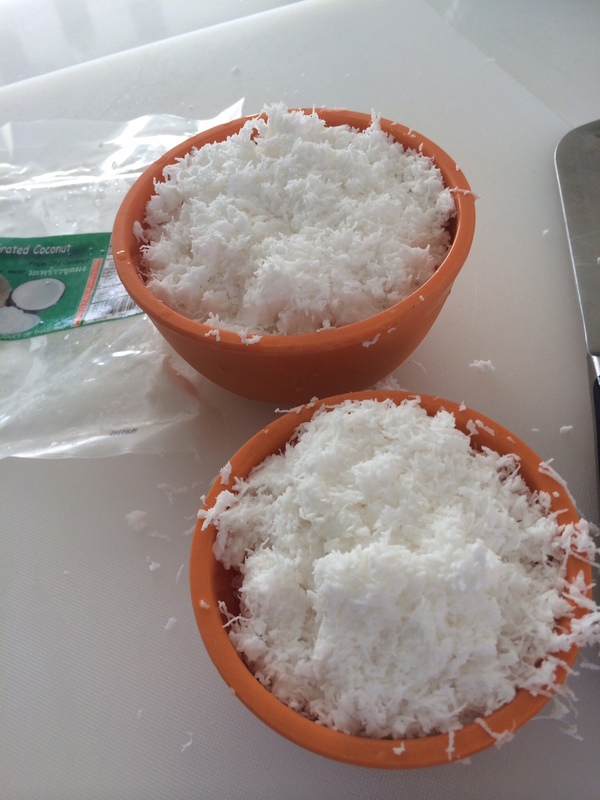 Sift flour, baking soda, baking powder and salt twice. 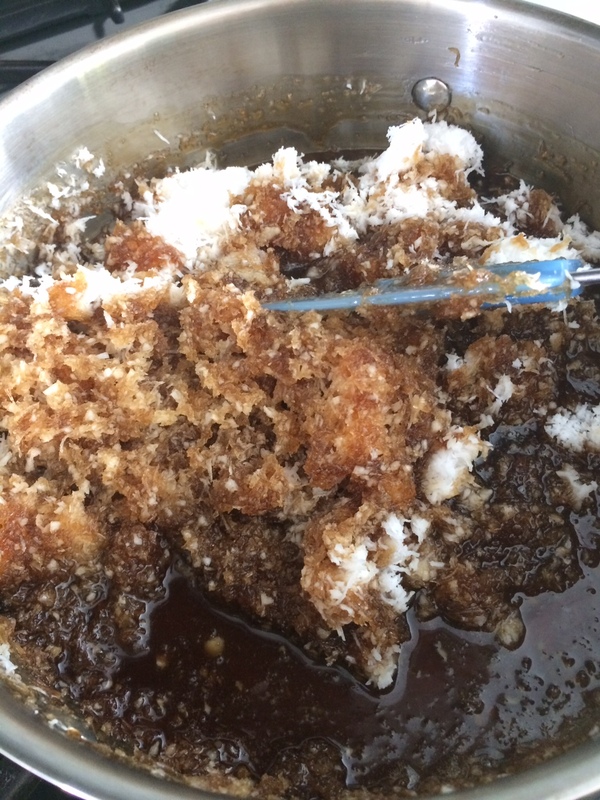 In a large bowl or 6-quart pot, stir butter, olive oil, banana and sugar together until blended. 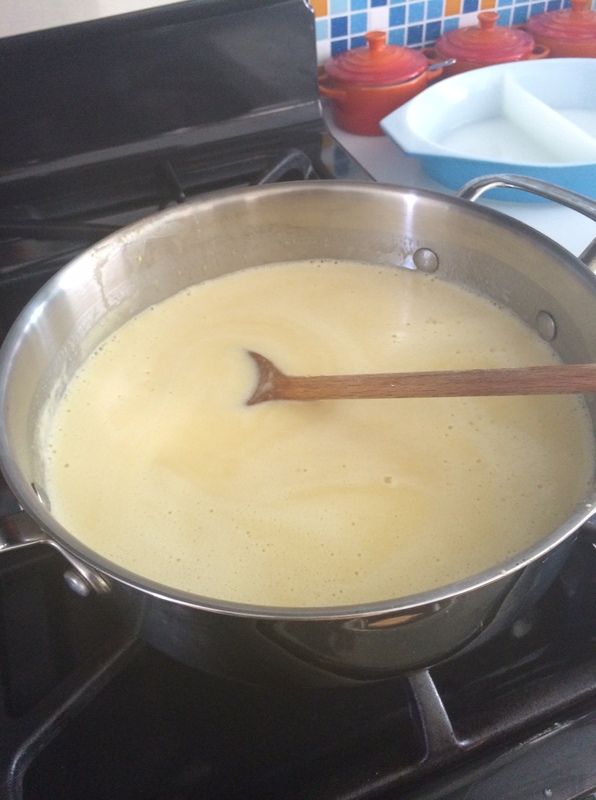 Then stir in eggs and vanilla until creamy. Add flour mixture 1/2 cup at the time, stirring after each addition until mixed. 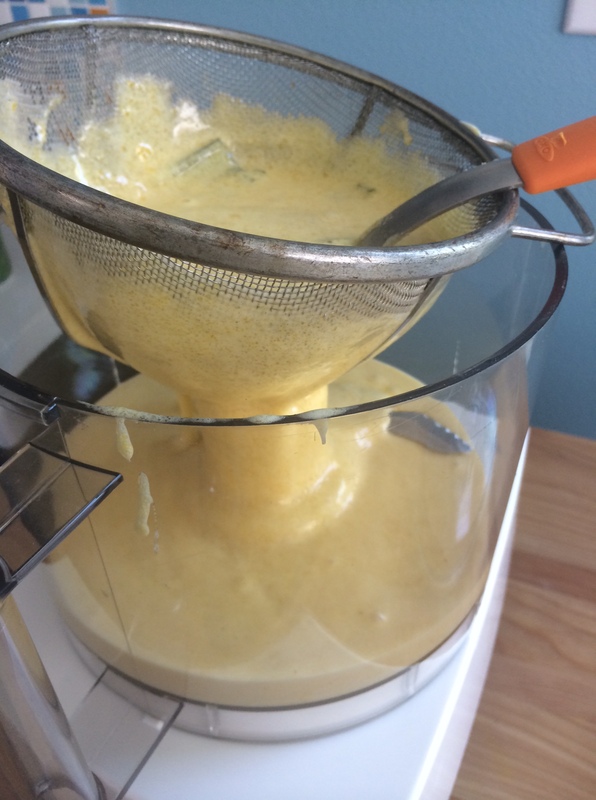 It will yield about 16 cups of batter. Divide equally into 4 loaf pans. Baking time is about 50 to 60 minutes. Bake without disturbing the cake for 45 minutes and then check the cake with a toothpick or wooden skewer; when it comes out clean, remove the pans from the oven. Let them rest on a wire rack for 15 minutes, then remove banana bread from the pans.